As glamorous as my Parisian world seems, it’s not all about croissants and Cristal 24/7. Let’s face it, at some point you need to wake up, smell the French-roast café, and get yourself a whole new vocabulary. 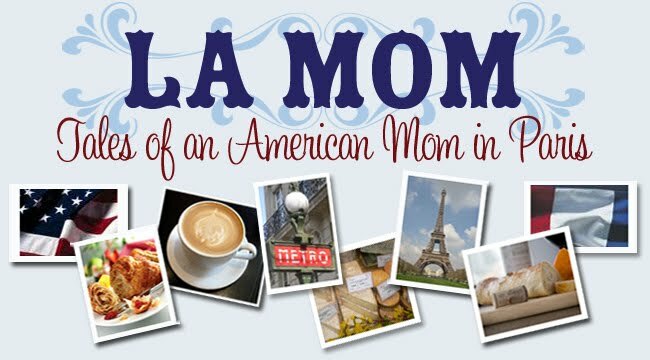 Bienvenue to La Mom’s ABC’s – French lessons for any maman looking for a touch of Paris in her own life! No, this is not the “Voulez-vous coucher avec moi ce soir” of Lady Marmalade fame. Unless Lady Marmalade was hitting those high notes during contractions. Yep, you guessed it, we're talking labor and delivery here. In Paris, your husband isn’t the first to know you saw the little blue line on the stick – you speed-dial the most chic hospital in town! As the zip code goes down on your precious progeny’s certificat de naissance, it only makes sense that little Hugo or Mathilde comes into the world under the best possible circumstances – preferably with room service that includes a wine list. La Mom confession: I’m outing L’Amie, my BFF in the Paris ‘burbs for doing exactly that. When given a choice between her babies being born at the public hospitals of working-class Poissy or ultra-chic Neuilly-sur-Seine, she naturally opted for Neuilly, even if it meant that she might be stuck in a massive traffic jam en train d’accoucher! What’s a little discomfort if you can get a snooty address on your kid’s birth certificate? WOW! just for a zipcode. I birthed my daughter at home and that was good enough for me! Funny though! I love all the french phrases you give, it's great! Boy, you're brave to "accoucher" at home! The French aren't into home births. The only people I know in Paris who've done it did it on accident because the babies came too fast! LOL! I'm surprised I actually went through with it...I had a 22+ hour labor with a 4 hour pushing phase, all without any meds...I thought I was going to die! Thanst funny, picking a hospital in order to have a certain zip code seems kind of celebrity like to me. I just picked the closest hospital, which happens to be ranked in the top 100 hospital in the nation (it is not a Posh place in the slightest though!). So is a Neuilly zip code like 90210? That's funny you just outed L'Amie.